When I first reached Grover Cleveland on this journey about three weeks ago I only had two biographies of this two-term president in my possession. I ended the month with five. As I worked through the biographies of his predecessor, Chester Arthur, several of you were kind enough to suggest biographies I must read before moving past Cleveland. And although I was skeptical that Santa’s media mail elves could deliver three freshly-ordered biographies quickly enough, they arrived with time to spare. And thank goodness! Because what better way could there be to spend the holiday season than curled up with a good Grover Cleveland biography? * I began with Allan Nevins’s “Grover Cleveland: A Study in Courage.” Published in 1932, this remains the definitive biography of Cleveland. It is occasionally criticized for placing Cleveland on a pedestal. But while it is certainly somewhat partisan it is not excessively deferential. But there is too much emphasis on certain policy topics that become tedious and dull – but which committed historians may appreciate. And I wish there had been more focus on Cleveland’s personal life; while often stern and serious in public, he was allegedly gregarious and affable around his friends. That side of Grover is hard to find here. * The second biography I read was H. Paul Jeffers’s “An Honest President: The Life and Presidencies of Grover Cleveland,” published in 2000. Jeffers was a professional (and prolific) author, not a dedicated historian, so this biography takes on a journalistic rather than academic feel. * Next I read Alyn Brodsky’s “Grover Cleveland: A Study in Character” which was published just months after Jeffers’s biography. Brodsky is a former newspaper columnist and book critic and has written several biographies. Of the five Cleveland biographies I read, this was my favorite (though only by a small margin). Thanks for posting all of this. Having embarked on a similar (but less comprehensive) journey and being only lightly behind you (starting “Gentleman Boss” any day now), I find this quite interesting and timely. I am already dreading the 3-volume biography of Benjamin Harrison by Harry Sievers! Thanks! Are you going in order (which would put you about half done)? Any stand-out favorites so far? I’m so glad I found this site; I thought I was the only weirdo wanting to reading a biography on every american president! After finding “Washington: A Life” on audible and already being a big fan of Theodore Roosevelt, I found my self wanting to know more about the other major players in our country’s history. I had no idea a list like this was already put together and that there seemed to be so many others interested in it too. Looking forward to the rest of your list! This is a great site! I’ve only read a couple bios so far but as I look for more, this site has become a tremendous resource. I wondered if you might share how much, if any, space the above books devote to Cleveland’s time as Sheriff of Erie County, Mayor of Buffalo, and Governor of New York. These are of particular interest to me. Three of the five bios spent at least reasonable time with Cleveland during that period. Nevins probably went the deepest (about 140 pages followed Cleveland from birth to his presidential nomination) while I seem to recall Jeffers and Brodsky spending a little more than half that on the same part of his life. Hi, did you have a reason for not reading the John Pafford book? Not a sufficiently scholarly work? I simply wasn’t familiar with Pafford’s book. But it looks interesting – I’ll have to add it to my follow-up list, thanks! The volume by Henry Graff in the American Presidents series is quite good and despite the space limitations imposed by the series format does a balanced job of covering the main points of Cleveland’s terms. Not a scintillating writing style, but certainly very readable. My apologies but I took several days to answer your question hoping that when I got home I could go through my notes in order to best answer your question. Unfortunately it is not clear based on the notes I took which author provided better coverage of foreign policy and monetary policy (and it has been nearly 3 years since I read these biographies). If anyone else has a view please chime in! I haven’t read Nevin and am just now finishing Brodsky. While I have had some concerns with his approach, I will say that he does a really nice job in discussing both Cleveland’s foreign affairs experience and his monetary views. The structure of the book lets him expound on issues in a clearly defined way and his writing is clean and coherent. As Steve said in the review on this book, he tends to use really obscure vocabulary. I assume that it is intended to be very precise. But, in general, it’s a very well done book. Perhaps someone else can respond with regard to Nevin. Well, I’m about a fourth of the way through Brodsky’s biography of Cleveland, and every one of the points made in the full review of this book have been encountered. It is an entertaining read, but so far I think you understated the author’s love for his subject. The vocabulary lessons have been kind of fun, although I rely on context as opposed to a dictionary. Neither am I put off too much by the inconsistency between erudite discussion and plainspoken language. There are a couple things that do annoy me, though. I think the biggest is the offhanded way he dismisses the presidents he dislikes. The references to recent presidents seems out of place in a book about a nineteenth century figure. But, more to the point, to dismiss every other president between Lincoln and T.R. with less than a full sentence each is troubling. Perhaps most importantly, it seems to be building in me a knee jerk reaction against Cleveland. Finally, while I’m no authority on the subject, I suspect that the issue of fathering an illegitimate child was likely a bigger problem in the nineteenth century than Brodsky is willing to concede. All that said, it is an entertaining and education read. The farther I get into this project, the more inclined I am to believe that one book per president won’t leave me fulfilled. You have supplemental reading to do after the large numbers you have read. I fear that I’ll be returning for more, although as of now my post-presidential starting point is likely to be Shelby Foote on the Civil War. The brief Grover Cleveland book in the American Presidencies series is also a good brief introduction. The Gilded Age (and following Progressive Era) is underrated, I feel, being far overshadowed by the Civil War, Revolution and new nation, and the New Deal/WWII. The Gilded Age was an era of incredible economic development that is unsurpassed in the influence of the world. I think the Gilded Age and Progressive Era were fascinating times with exceptional characters. Cleveland was a good president. Hello. I am a published nonfiction author currently researching a book on former Confederates who became prominent in post-Civil War American society. Of the eleven US presidents who appointed former Confederates to high federal government positions (US Supreme Court, Sec. of the Navy, Attorneys General, Solicitor General, Asst. 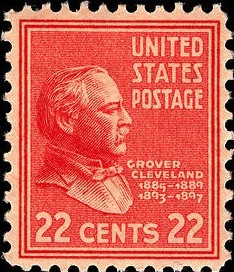 Secretary of State, and numerous ambassadors and consuls) none appointed more than Grover Cleveland. I am seeking suggestions for the best Grover Cleveland biography for my purposes. Many thanks. Stephen M. (“Sam”) Hood. Thanks for the note and apologies for the tardy response (it has been a hectic last two weeks). I’m not sure I can answer your question well given the length of time that has passed since I read these (just over four years) and your narrow objective. Having said that, I think Nevins’ biography is a good place to start since it is the “classic” biography of Cleveland and is also the most detailed of any I read. After that I imagine either the Brodsky or Jeffers bios would be most useful. 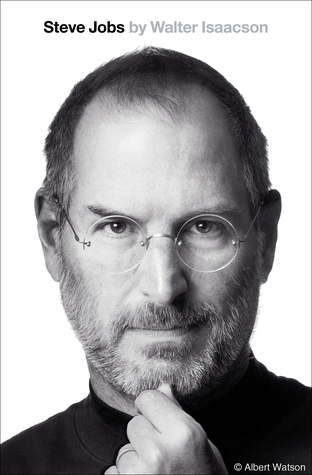 Thanks Steve. This thread was so old I really didn’t expect a reply. I will start with Nevins’ biography, as you suggest. Thanks again.